Shiv Sena spokesperson Manisha Kayande said the Congress might benefit from her "good personality". Priyanka Gandhi Vadra's foray into active politics has been welcomed by the Shiv Sena--an ally of the BJP that has many been making savage attacks on the party and its leaders, including Prime Minister Narendra Modi. 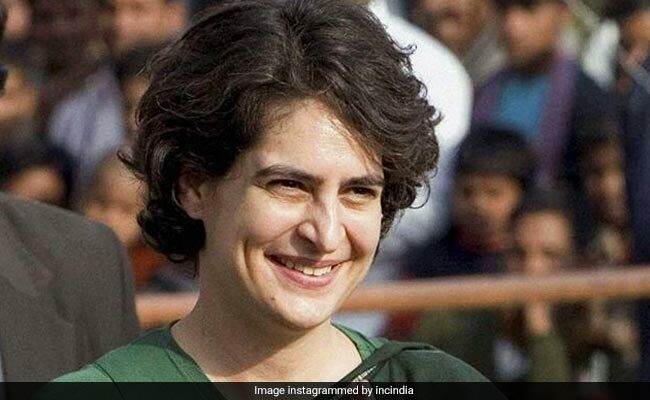 In a comment which may not please its ally, the Shiv Sena said today that people will see the image of former prime minister Indira Gandhi in Priyanka Gandhi Vadra when they set out to vote in the upcoming Lok Sabha election. "The party will benefit from her good personality, her ways of presenting herself and her ability to strike a chord with the voters. She has the qualities of her grandmother (Indira Gandhi)," she was quoted by news agency PTI as saying. "While going out to vote, people will see Indira Gandhi in Priyanka," Ms Kayande added. The relationship between the BJP and the Shiv Sena has not been good over the years. Soon after 2014 general elections, rifts came on the surface between the two allies. The two parties contested the Maharashtra assembly election separately, in which the BJP emerged as the party with most number of seats -- but not enough to form a government. The two parties that are bound by ideologies had to come together to form the government. After that, the two parties have remained in an uneasy alliance, with the Shiv Sena not leaving any opportunity to train guns on the BJP leadership. For the past few months, the party's attacks have become more bitter. The party has taken to task the central government on many issues. The Maharashtra Cabinet on Tuesday approved Rs 100 crore for the construction of a memorial for late Shiv Sena chief Bal Thackeray. The move is seen as the BJP's peace offering to the Shiv Sena ahead of the Lok Sabha polls. Rahul Gandhi on Wednesday announced his sister Priyanka Gandhi Vadra's appointment as Congress general secretary, in-charge of Uttar Pradesh. The move comes weeks after Mayawati and Akhilesh Yadav snubbed the Congress from their alliance-- a major blow for the party. The Congress has announced they would contest Lok Sabha elections in all 80 seats of the state.